The Cincinnati Bengals could be looking to get the Zac Taylor era started with a bang, as they are reportedly considering the idea of taking a quarterback with the No. 11 overall pick in the upcoming draft. 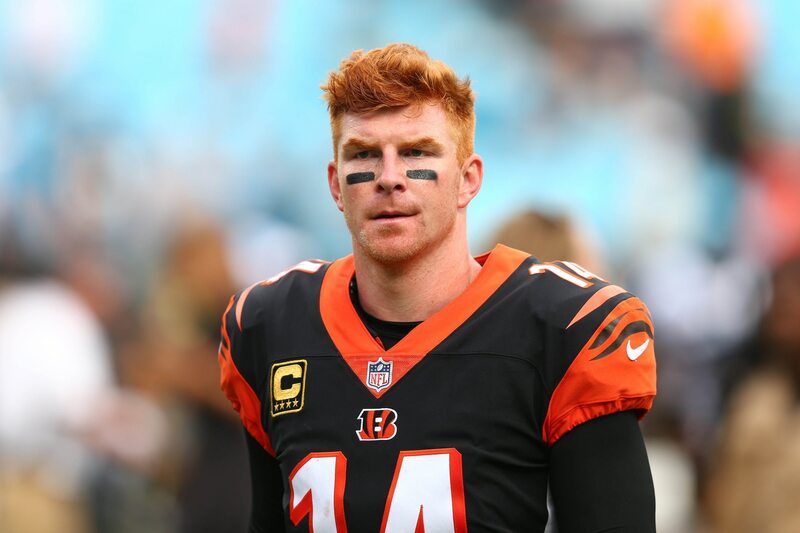 Obviously the elephant in the room here is that Andy Dalton will be back in Cincinnati for the 2019 season, and he’s been the starter for the Bengals since his rookie campaign in 2011. Dalton has also been decidedly average throughout his career, however, completing 62.3 percent of his passes while throwing 188 touchdowns and 104 interceptions. He has also lost every single one of his playoff starts, posting abysmal postseason stats in the process: 55.7 percent completion rate with one touchdown and six interceptions. Taylor, coming from the Sean McVay system, could certainly be interested in bringing a rookie on board who can learn the system for a year while Dalton plays out the remainder of his contract. And if Dalton stinks it up while the team loses, then the Bengals would have little to lose by giving a rookie some valuable in-game reps later in the season, as well. As for who might be available, it stands to reason the top quarterbacks might already be gone by No. 11 overall. We fully expect a run at the top as desperate teams make bold moves to trade up. Though, a guy like Daniel Jones or Will Grier could be a surprise pick there at that point in the draft.